Is all its name implies... and much more! 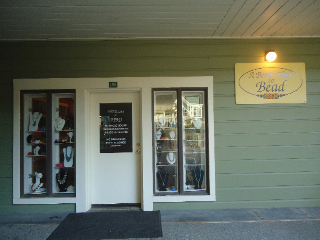 At A Better Place to Bead, our goal is to provide to each and every customer with our best service possible. Our focus is to teach you how to start and finish your project. Come on by and let your creativity run wild, and express yourself with a fabulous one of a kind wearable art piece designed and made by you! We search all around the world for the most beautiful, high quality pieces to inspire your creativity. 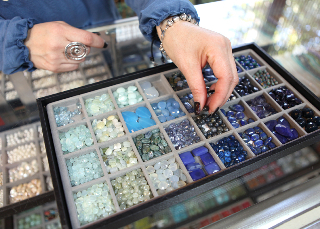 We have an incredible selection of semi-precious stones, czech glass beads, swarovski crystals, fresh water pearls, porcelain, wood, horn, bone pewter charms, plated, sterling silver, gold-filled findings, and so much more. Our selections are divided into full strands, half strands, or loose beads. PICK and USE only the beads necessary for each and every project. We have a wonderful, very affordable collection of one of a kind jewelry ready to be enjoyed! We also have necklaces, bracelets and earrings exclusively designed and made by us. Ready for you to wear, or give as gifts for that special person in your life. We have beautifully remodled the store and offer a warm, inviting work space to motivate your creative mood. 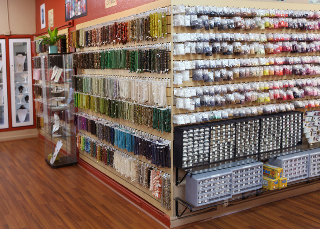 Come visit us and discover the exciting world of beading. Birthday Parties or any other special event in your life. Free work table from 11 a.m to 5:30 p.m .